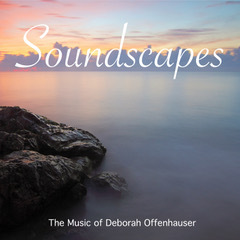 Soundscapes is Deborah Offenhauser’s eighth proper album. I was duly impressed regarding her solid resume. Deborah has a history as a musician back to when she first started taking lessons at 5 years old. She has been a teacher along the way as well, and a highly sought after and respected one. Her music has appeared in movies and several hit TV shows. She also plays the classical organ, mandolin, 5-string banjo, guitar, and violin. She is a totally accomplished musician and brings a lot to the world of music and media. After listening to Soundscapes, I can understand why her music is so brilliant. The title is perfect for the music she presents in 13 tracks. For my ears, diversity is the main reason I would give kudos to any recording, particularly when it is all well done. In this case that applies to this very vibrant and diverse recording. The many Soundscapes you will touch upon include mixtures of jazz, new age, contemporary classical and world. 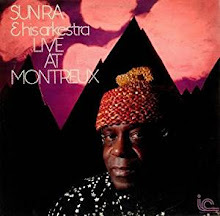 To put it in proper terms, there are not too many areas the artist does not touch upon for this marvelous instrumental presentation. “Irrational Exuberance” starts off with the sound of a horse running by and it ends the same way. This is all part of the music that Deborah presents. The sounds of life, people, nature, atmospheres and every day sounds that lead to her music and honestly, mix in equally well. You will hear water babbling and birds chirping. This is all works within each track and makes it more realistic and personal for a listener. It creates a feeling, mood and or atmosphere that makes you feel you are right there, taking part of all the interactions within the music. “Tanz" is a worldly track that introduces a blend of sounds you would hear in the far east. Again, the music transports you to the place you see in your mind's eye. It is powerful enough to make you realize where you are. Many possibilities can arise for anyone with an imagination. If you have been fortunate enough to be a world traveler the music becomes even more lifelike and relatable. It is an instant kind of recognition you can experience if you have journeyed outside the U.S. I can personally attest to that as I have been in many countries and experienced the sounds, smells, and atmospheres, all unique to that particular place on the globe. Those are just two examples of what is available in this fine recording. You get one track after another with beauty, textures, colors, and ambiance. They are all different standalone tracks that are ready to become your own private soundtrack. Deborah Offenshauser has magic at her fingertips and what she is able to translate through her music is a god given talent. Where do you want to go today? Just put the Soundscapes CD, sit back, and take a trip courtesy of the artist. There are no long lines, wait times or cancellations, and the price is right!